Lock in a great price for The Highwayman Motel – rated 8.5 by recent guests! We were upgraded to a larger unit but facilities were ordinary. Unit needs a facelift. Lovely greeting from the owner, nice size rooms, comfy beds and excellent shower with lots of pressure! They also have a nice swimming pool to cool down in and even a spa to enjoy! Walking distance to grocery store. Definitely recommend this place, fabulous stay! Space in the apartment and the range of facilities on offer - spa, swimming pool, etc. were good. They were really good about my two little dogs being there. Never been to Masterton before and thought the location was great. 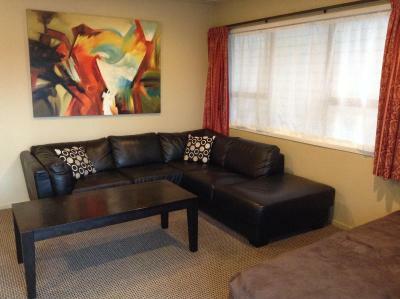 Well priced and within close proximity to restaurants. Staff were friendly and the room had everything we required. The Highwayman Motel This rating is a reflection of how the property compares to the industry standard when it comes to price, facilities and services available. It's based on a self-evaluation by the property. Use this rating to help choose your stay! One of our best sellers in Masterton! 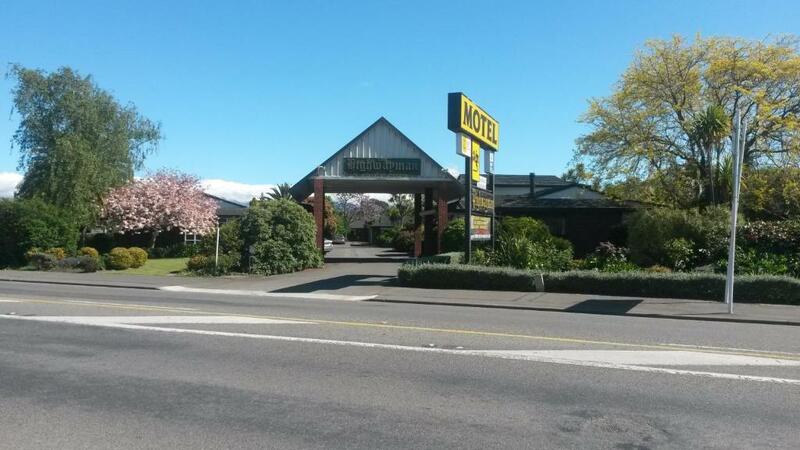 Set on 2 acres, Highwayman Motel offers a swimming pool, hot tub and grass tennis court, just 3 minutes’ from Masterton’s town center. 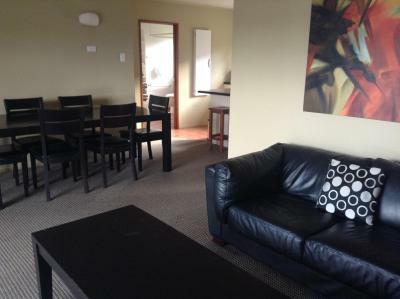 All studios and apartments are heated and offer satellite TV. Guests can play a game on the giant chess board or enjoy a meal in the BBQ area. The property offers a children's playground and there are spacious gardens which boast bird aviaries. Highwayman Motel Masterton is a 3-minute drive from Solway Showgrounds and a 5-minute drive from Renall Street Railway Station. 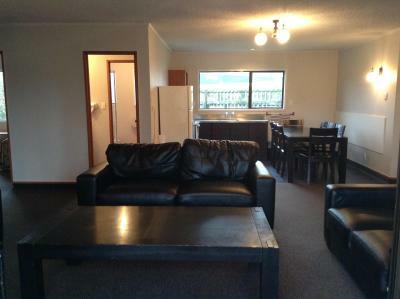 All accommodations features a microwave, refrigerator and tea/coffee making facilities. 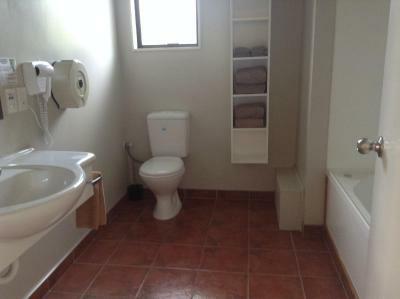 Each has a private private bathroom with a shower and a hairdryer. Some apartments offer a spa bath. When would you like to stay at The Highwayman Motel? 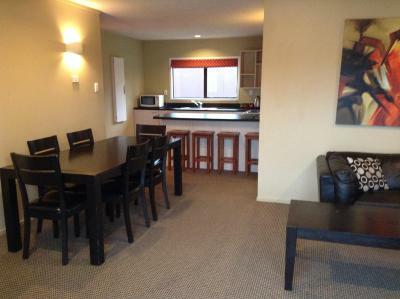 This executive studio offers a sofa, desk and a kitchen with a stove and kitchenware. This apartment offers a fully equipped kitchen, a sofa, desk and wardrobe. This apartment offers a glass conservatory patio and a spacious bathroom with a spa bath. 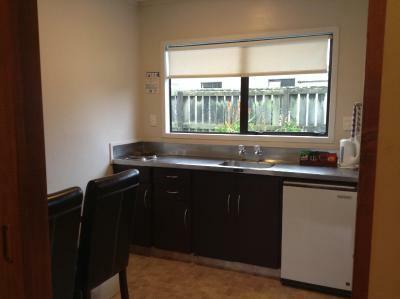 There is a fully equipped kitchen, a sofa, desk and wardrobe. 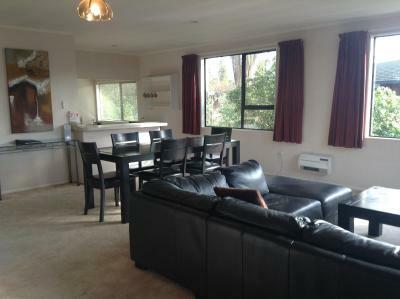 This apartment offers a fully equipped kitchen and a spacious lounge area with a sofa and a desk. House Rules The Highwayman Motel takes special requests – add in the next step! One child under 12 years is charged NZD 15 per night when using existing beds. The Highwayman Motel accepts these cards and reserves the right to temporarily hold an amount prior to arrival. If you expect to arrive outside reception opening hours, please inform The Highwayman Motel in advance, using the contact details found on the booking confirmation. Windows could do with security stays The vinyl spray coating in the room 16 need looking at. Needed a clean between the wardrobe and the wall, cobwebs & other dirt. Nice comfortable bed, good shower, friendly staff. Heating of some sort (towel rails/heater/fan etc0 in bathroom. Quietness. Owners willingness to provide extra crockery and cutlery etc when we had guests for a meal. Great bed and really clean. Very handy to town and food locations. Shower hard to regulate volume. Although property was a liitle old, room was clean, bed comfy & fluffy towels. Outdoor area easily accessible. Very quiet. Easy walk to shops. The friendly and helpfull staff.